The Jesus Film is a unique evangelism tool used to share the gospel with unbelievers all around the world in a dynamic way. It's a video that shares the gospel from Scripture and explains that faith alone in Christ will save. It's translated into 1,440 languages and has helped millions of people across the globe come to know Jesus. One of Live Global's projects, the Koinonia Church Network (Nepal), is using this film as a way to reach a difficult group of people in Nepal. People from the Koinonia Church Network who went on the first trip shared a lit tle about how God has already worked through the Jesus Film outreach. There were 29 of them waiting for us in this town. The majority in this area is Brahman caste. This is most difficult caste to reach. The first movie we brought talked about how not our work, but only faith in Christ, will save us. The message went clearly to our Brahman brothers and sisters. The movie is the total contrast of what they believe and do in their lives. But the message made them curious know about Jesus Christ. As they became more interested to know about Jesus Christ, we asked their permission to start the second movie, the Jesus Film. We told them that this will give them more of an understanding of who Jesus is and why He came into this world. In between they asked questions and we answered them. After the movie, we challenged them to come to our Koinonia Network church in Nepal. We heard four of them received Christ and said they are ready to come to our Koinonia Church service on Saturday. This is a great blessing for us that a few people were added in His Kingdom. Please pray for God's guidance and protection as we are planning to show the Jesus Film every month in different places. 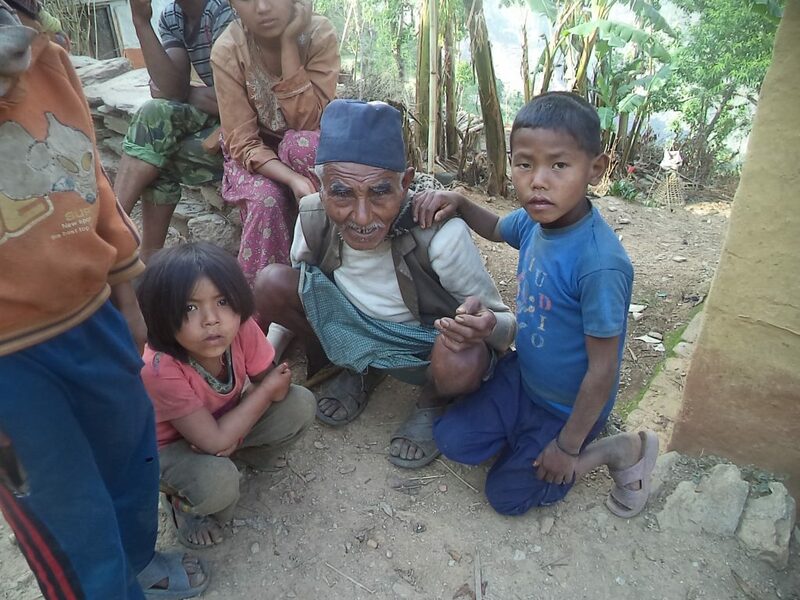 ←"Villagers Gather at My House to Torture Us"
Join us in praying for the Koinonia Church network as its members aim to reach their goal of planting 500 churches in Nepal by 2020. As the team leaves every week for evangelism, please pray for God's protection and wisdom. To send our missionaries and evangelism teams to the mission points. We need to cover their transportation, food, and accommodation. Please pray that God may provide enough support to send our missionaries and evangelism teams. Pray for daily needs of believers and their communities that are very poor or have been hit by natural disasters.